A new National Automobile Dealers Association task force will push for changes in manufacturers' facility renovation programs and incentives that lead to perceived two-tier pricing. One likely outcome: NADA leaders will take a more forceful position with automakers on those hot-button issues, NADA Chairman Bill Underriner said. "We want these programs to be flexible and to be fair and to benefit all dealers in the same way," said Underriner, who sells Hondas, Hyundais, Volvos and Buicks in Billings, Mont. "We think it shouldn't be the big dealer against the little dealer or the city dealers against the rural dealers." An NADA study released in February concluded that the facility renovation programs cost too much and yield uncertain results. The dealer organization has asked manufacturers for changes, but few have been made. Some dealers and at least two state dealer associations have criticized NADA in recent months for not pushing the manufacturers harder on the issues. In recent weeks, dealers have stepped up criticism of the so-called stair-step incentive programs. The bonuses paid to dealerships for complying with facility guidelines or meeting stair-step sales targets can lead to dealers effectively paying different prices for the same vehicles, critics say. The NADA task force will tackle those issues and, before the end of summer, develop a list of actions to take, Underriner said. NADA's board of directors appointed the task force last week at its summer meeting. Task force members are expected to meet at NADA's McLean, Va., headquarters by the first week of July. "We want to fast-track this thing," said Underriner, calling it a high-level priority. "This is an issue that we think needs to be sooner than later." He said NADA must be more forceful with the automakers. 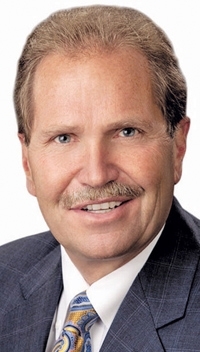 The task force is headed by Forrest McConnell III, a Honda-Acura dealer in Montgomery, Ala., who was nominated last week to be NADA's vice chairman in 2013. That puts him in line for the group's chairmanship in 2014. David Westcott, a Burlington, N.C., dealer who is the association's vice chairman this year and was nominated to be NADA's chairman for 2013, also is part of the task force. Other members are Mike Martin of Manassas, Va.; Doug Knust of Chamberlain, S.D. ; Brian Hamilton of Kearney, Neb. ; Don Chalmers of Rio Rancho, N.M.; and Ed Tonkin of Portland, Ore. Tonkin was NADA's chairman in 2010. NADA continues to pursue the facilities issue in other ways. Glenn Mercer, the former McKinsey & Co. partner who conducted the study released in February, will lead NADA efforts to determine the payback for dealers who renovate their facilities. Mercer is seeking dealership financial information to determine return-on-investment data. NADA plans to generate those calculations by September. Mercer also leads an effort to determine what type of facilities will be appropriate for dealerships operating in 2020 and beyond. NADA also is adding questions about manufacturer facility requirements to its twice-a-year dealer attitude surveys. The next survey goes out in July with results expected in September, Underriner said. By next year's convention, NADA will review whether manufacturers have changed their facility programs in response to the study released in February.